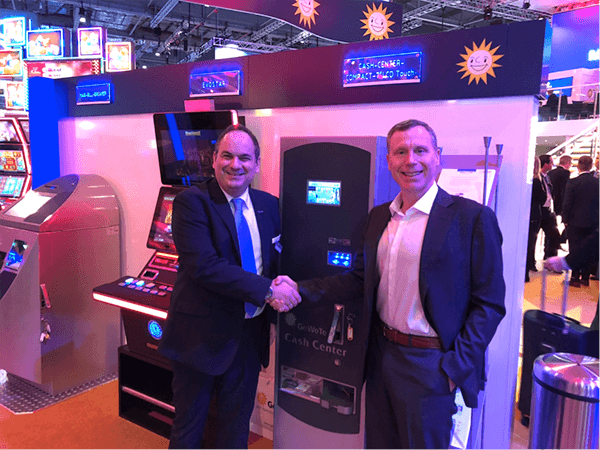 GeWeTe is proud to announce its partnership with AXESnetwork GeWeTe’s redemption machines to be seamlessly operated and managed by the AXES casino management system. GeWeTe is the redemption machine supplier for the casino, street and sports betting markets for the Gauselmann Group, with more than 60.000 installed Systems worldwide. Having assumed the responsibility for the casino market only three years ago, many things have already happened, including well over 120 casinos that have already installed GeWeTe solutions. “Our mission is to ensure that our customers benefit from the latest ways and means to achieve higher performance so that we remain useful and proud to be of service. This now includes GeWeTe redemption machines as we provide all the key data through our system”. Mr. Aristidis Tsikouras, Managing Director of GeWeTe, underlines the significance of this agreement, stating, “This is a strong partnership and shows how recognised GeWeTe is in the global gaming market. Operators now have full control of GeWeTe redemption machines who make use of the AXES network”. AXES is a Cloud Information Management System with clients in more than 40 countries that eliminates fraud, errors and theft. AXES makes sense of billions of pieces of player, machine, time and space data to create value, increase revenue and enhance player engagement in real-time. An integral part of AXES’ mission is to partner with best of breed companies to bring value-add products to the AXES ecosystem. AXES’ APP Store environment offers companies like GeWeTe to integrate their products into the AXES customer environment to create value.